Mexico has some of the finest markets in the world. The variety of produce and other items sold in markets is staggering. But not all Mexican markets are the same. The two major groups are the permanent markets (mercados), usually housed in a purpose-built structure and open for business every day, and the street market or tianguis, usually held once a week. Earlier this month, Mexico City passed legislation that gave the city’s 329 public markets Intangible Cultural Heritage status, and provided additional funding to ensure that their traditional activities are maintained for future generations. Some of the markets are traditional, mixed markets, others are specialized. Between them, they are used on a regular basis by almost half of Mexico City’s residents and provide more than 280,000 jobs. The Mexico City commission established to preserve these traditional spaces and their practices has been allocated a budget in 2017 of $200,000,000 pesos (about $11 million). Abelardo L. Rodriguez Market. Credit: Wikimedia. Creative Commons. Beyond their regular role as a trading place, many of the markets in Mexico City have additional claims to fame. 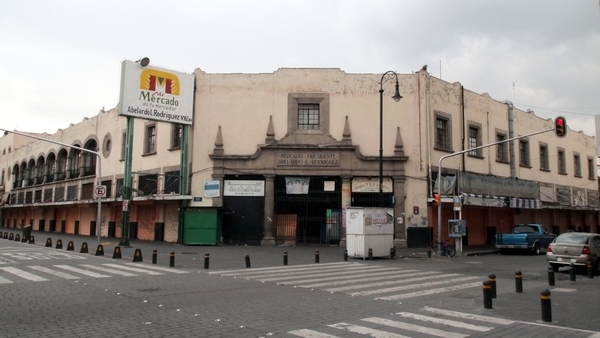 For example the La Paz market in Tlalpan in the southern part of the city occupies an architecturally impressive building, while the Abelardo L. Rodríguez market in the downtown area has fine decorative murals painted by students of Diego Rivera.